Rapidly changing development in technology and in modern economic environment requires new ways of teaching and learning in school to meet the needs of our digital natives and make learning be part of their lives outside the classroom.Many people are out of the common training system like young workers, residents of small villages, young mothers, immigrants and other groups of social exclusion.The main idea of this partnership is to provide a framework with innovative and qualitative methods (e-learning, practical education, theoretical education and with unconventional educational forms) in order to make vocational training more attractive to these group of people, and more effective by giving them the knowledge and skills required to obtain a job in the labor market. 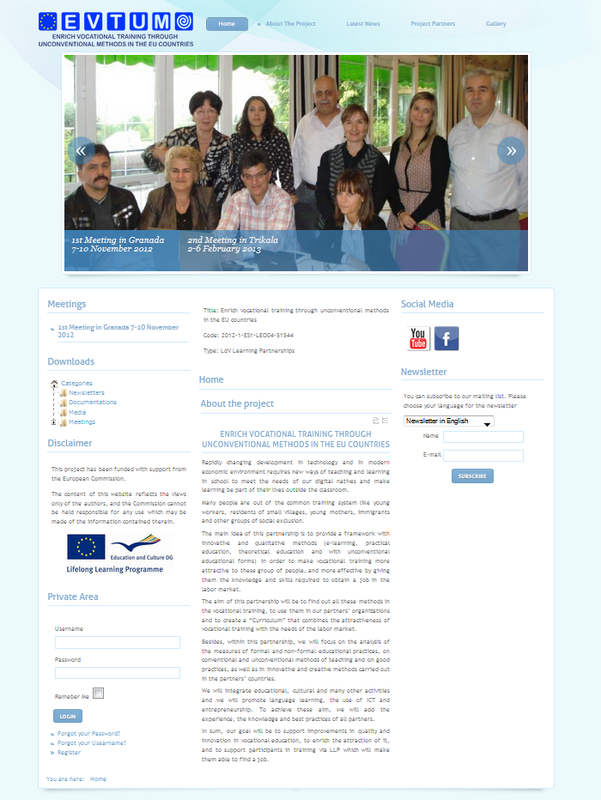 The aim of this partnership will be to find out all these methods in the vocational training, to use them in our partners’ organizations and to create a “Curriculum” that combines the attractiveness of vocational training with the needs of the labor market.Besides, within this partnership, we will focus on the analysis of the measures of formal and non-formal educational practices, on conventional and unconventional methods of teaching and on good practices, as well as in innovative and creative methods carried out in the partners’ countries.We will integrate educational, cultural and many other activities and we will promote language learning, the use of ICT and entrepreneurship. To achieve these aim, we will add the experience, the knowledge and best practices of all partners. In sum, our goal will be to support improvements in quality and innovation in vocational education, to enrich the attraction of it, and to support participants in training via LLP which will make them able to find a job.